After decades of limiting families to just one child, China ended its one-child policy a few years ago. The reasoning was for couples to have a second child to help slow the pace of an ageing society. In 2016, China’s government changed its rules to allow families to have two children. Since the two-child policy came into effect, there has been an increase in the number of births. There has also been an increase in the sales of needed maternity and baby products as well as in the expenditures of families purchasing these items. It is not surprising that China’s consumers, who have become very digital and social media shopping-savvy, have taken to e-commerce platforms for buying maternity clothes, milk powder, and other essentials needed to care for babies and young children. According to data from Tmall.com, the website for business-to-consumer online retail spun off from Taobao and operated in China by Alibaba Group, bottles, diapers, and cribs are the items most in demand and purchased online. Along with their know-how and proficiency for navigating online shopping, Chinese consumers have become smarter and more sophisticated with higher expectations. New parents often seek imported goods, especially since many international brands for baby bottles and diapers are widely-recognized as outstanding and high-end. Some of these brands include Pampers (帮宝适 ), Merries (花王)、Huggies (好奇)、Goo.n (大王), Momy Poko (妈咪宝贝). As a result, sales of imported diapers have grown more than 60%. Specifically, the Dawang brand has grown by more than 100% compared to last year, leading the growth of top quality diapers. Pampers is another example of a leading brand that has had tremendous growth in sales. In addition to diapers for newborns, there are many other must-buy products, including car seats and cribs. Yet, the most important purchase for new parents is baby milk powder. Many Chinese consumers view this purchase as one of two groups: foreign baby milk powder and domestic baby milk powder. Some of the more prominent e-commerce platforms for purchasing baby milk powder are Tmall Supermarket and International Mommy. 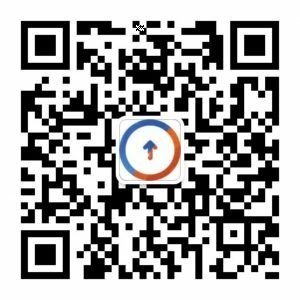 Favored by Chinese consumers who prefer foreign baby milk powder, International Mommy is a popular app for quality foreign baby milk powder as well as direct mail orders for a variety of other first-rate supplies for both mothers and babies. Importantly, the price of quality baby products by Chinese consumers varies by age. According to the 2018 CBME China Pregnancy and Baby Consumer Market Survey Report, post-90 Chinese parents – those born between 1990 and 1999 – are less concerned about the price of baby products. The report surveyed more than 3,300 families with babies between the ages of 0-3 years old in eight cities, including Beijing, Shanghai, Guangzhou, Changsha, Chengdu, Hangzhou, Jinan, and Xi’an. It expressly shows that Chinese consumers of different ages have varying price sensitivities for different types of products for mothers and babies. 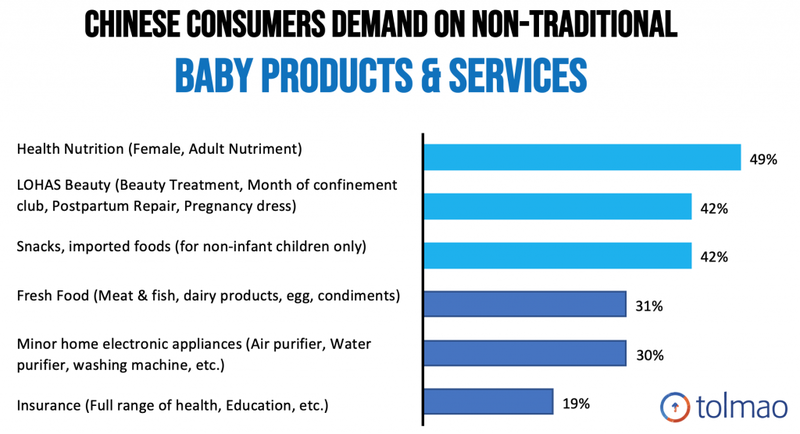 Compared with other age groups, post-90 consumers are willing to accept higher price ranges for pregnant women and baby products, such as baby milk powder, diapers, strollers, and clothing, than other age groups. This age group, which is known to be confident and optimistic about the future, aligns with the CBME’s report findings that child care expenditures for babies 7-12 months and toddlers 1-2 years accounted for the largest proportion of the family’s budget. Other factors, like shopping habits, have impacted e-commerce business regarding the consumption of baby products. According to CBME’s report, Chinese consumers consider word of mouth input for purchasing decisions about maternity and baby products much more so than last year. In addition, Chinese consumer’s demand for non-traditional maternity and child products and services has increased. This is particularly so for post-90 consumers, the newest generation of parents. As a result of changes to their lifestyle today and their progressive outlook, they seek stores that focus on more modern maternity and child products, such as healthy nutrition and beauty products. In terms of shopping outlets, approximately half of Chinese consumers still go to maternity and baby department stores, despite integrated e-commerce platforms and online shopping growing faster than last year. As more families have a second child and more products are needed, e-commerce sales will continue to grow, both locally and across borders. Moreover, as more stores improve their e-commerce platforms with appealing photography, engaging product videos, and compelling consumer reviews, Chinese consumers will continue to shift to online shopping, contributing to the rise of e-commerce sales for baby products. Tolmao Group is an integrated marketing specialised in helping both local and international companies excelling in Chinese market. We have vast experience in multiple industries including the baby care market. Contact us now to know how we can help you succeed in the Chinese market!